Kanye West made the headlines over the weekend after stopping his Sydney show in order to ask a disabled person in a wheelchair to “stand up”. Kanye West, 37, stopped his concert at the Qantas Credit Union Arena in Sydney, Australia, and repeatedly asked a wheelchair-user to stand up, and caught on YouTube. “I decided I can’t do this song, I can’t do the rest of the show until everybody stands up,” Kanye West told the crowd. “Unless you got a handicap pass and you get special parking,” he added. It turned out that some of his fans did qualify for a “handicap pass” and, rather than being passed over, they were brought to the attention of the entire arena who urged the disabled fans to “stand up, stand up” as prompted by Kanye West. With the crowd booing, some closer to the fan tried to signal to Kanye West that the boy was in a wheelchair. After apparently seeking further verification from a bouncer, Kanye West realized he had made a mistake. “If he’s in a wheelchair, then it’s fine,” the rapper said before launching into his next song. Despite encountering much negative attention in the media over the weekend, according to the Courier Mail, Kanye West has once again decided to ask for proof of disability from the fans in the crowd at his latest show in Brisbane. 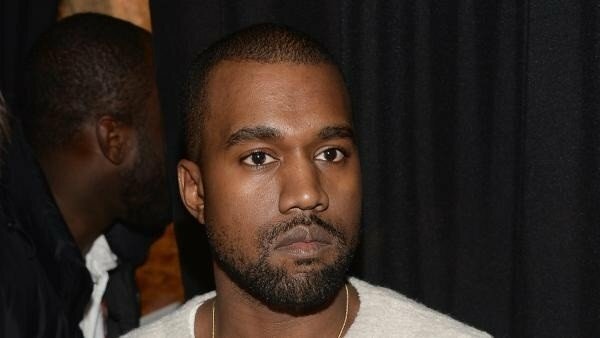 “If you cannot prove to me that you are in a wheelchair you need to be standing, if you can it is OK to sit down,” Kanye West is reported as saying. Kanye West has been criticized about the incident in Sydney by local disability campaigners. “To call out people for not standing up, when they are disabled and cannot stand up, in front of thousands of people, is humiliating,” says Craig Wallace of People With Disability Australia, in the Herald Sun. “What if it was a young person who’s coming to terms with their disability?” he adds, saying Kanye West should apologize and would also benefit from disability awareness training. For Suzanne Bull, the CEO of a charity that improves deaf and disabled people’s access to live music venues, it is important to teach others that not all disabled people are in wheelchairs. “There are a range of facilities that disabled people need from a music venue,” she says. Though widely reported as another of Kanye West’s now famous gaffes, some fans at the gig have defended him saying he exempted disabled people from his game from the start. They say he made it clear that if they were in a wheelchair they need not stand. Jessica Kearney was in the arena at the time and says West’s comments have been unfairly attacked. “There was no malice, if anything the audience (myself included) “booed” the person as no-one knew that person was in a wheelchair,” she says. In the past, Kanye West has shown support for disabled fans. In June 2014, he asked his security team to give a wheelchair-user his microphone as a gift after spotting he had been blocked in and was unable to see the show properly. Though stars often urge their audiences to get up and dance, disabled fans aren’t often forced into proving their disability to those they admire.